6000 years ago salt was used in many ways including salt soak baths. The benefits go beyond exfoliating away dead skin cells to make your skin soft and supple. A soak can soothe irritated skin, help eczema and psoriasis, and dissolve calluses. But wait, it does so much more; it pulls impurities and helps circulate your blood, which in turn detoxifies your system bringing on that glow and youthful skin you want. Yes there is more; it relaxes you, releases muscle tension, benefits achy joints and arthritic pain. Taking a bath will help the way you feel. Our ancestors were smart, they worked hard and treated themselves to bath houses- that beats our idea of sitting on a couch in front of the television to relax any day. Not all salt is created equal, with many to choose from and various price tags, my advice is to try different ones, see what suits you and your needs as well as your budget. More on the different types of salts in upcoming blogs so as this year starts out let’s all detox our bodies in salt from the earth. 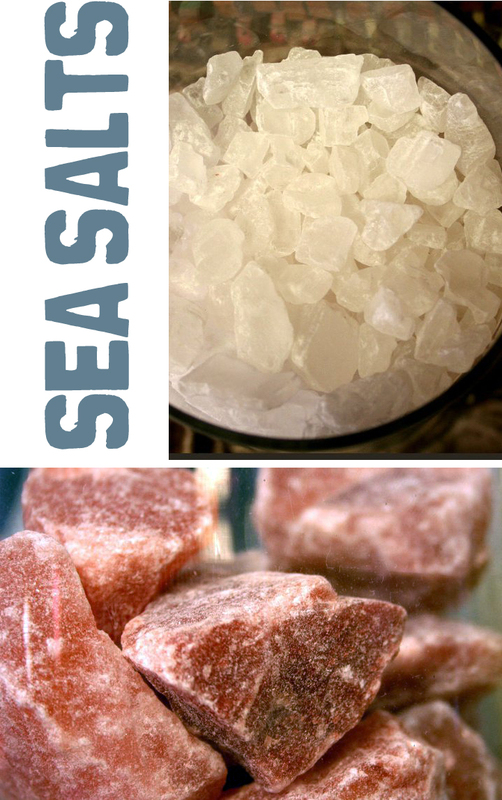 Absorb the wisdom of the ancients with a soak in these 150 million year old salts. In a bowl mix 1/2 cup of Himalayan Sea Salts with a drizzle of sweet almond oil and a few drops of essential oil to your desired strength. Mix well and add a teaspoon or so each of dried lemongrass and black peppercorns, stir. Use a sachet to pour your salts into and drop into your tub of warm water. The sachet will keep your tub clean from the dried herbs and peppercorns while allowing the salts to dissolve through the bag. When taking salt soak baths, avoid hot water and be sure to hydrate before and after your bath. Salts are very detoxifying and water that is too hot will cause you to dehydrate quickly. Let us know if this is helpful and want more about subjects like these. We’d love to hear your stories and let’s keep our skin first.